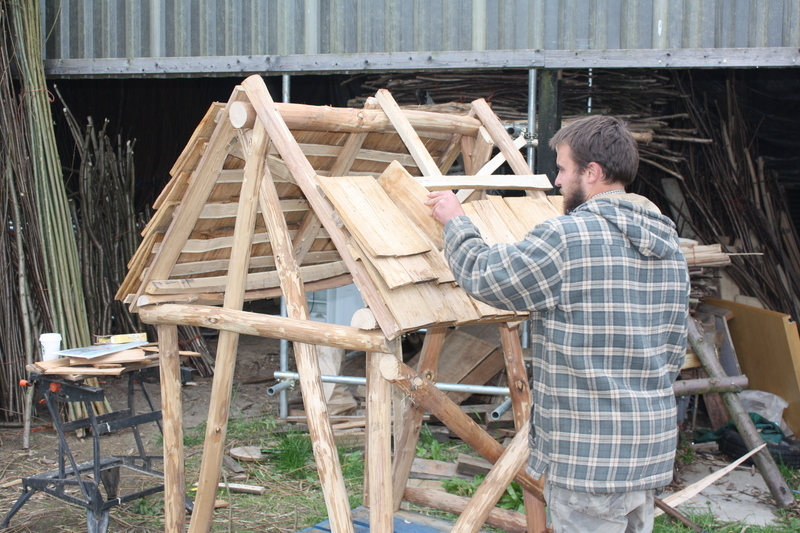 These logshed are made from round chestnut poles, with hand cut joints held by wooden pegs. The materials are harvested from sustainably managed coppice woodlands in Essex. The roof is made from locally sourced cleft oak shingles*, these wooden tiles are split from large rounds of seasoned oak and can last more than 70 years. 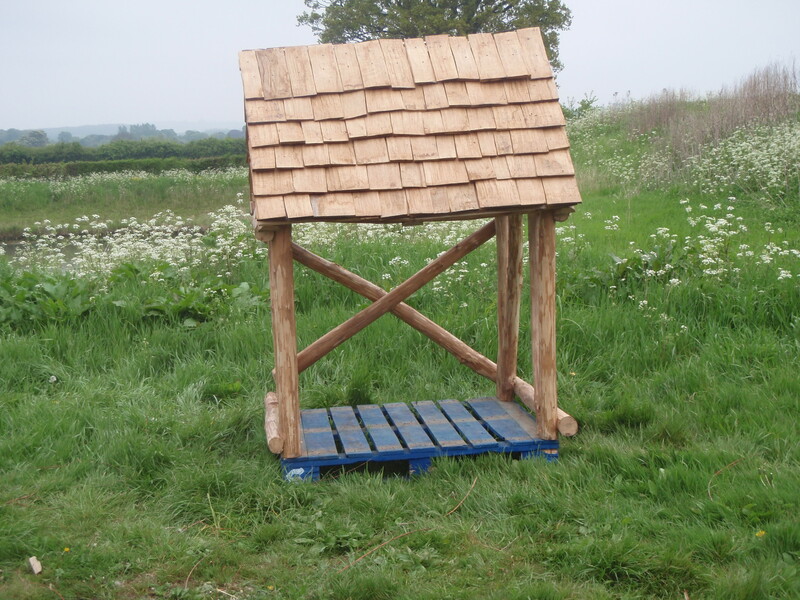 The design uses a recycled pallet to create a level base, and raise the contents of the shed off the ground, improving airflow and reducing moisture contents in the firewood. The sheds are designed to hold just over a cubic metre of logs (a standard measure for delivery) and can be supplied with a removable roof for easier loading. 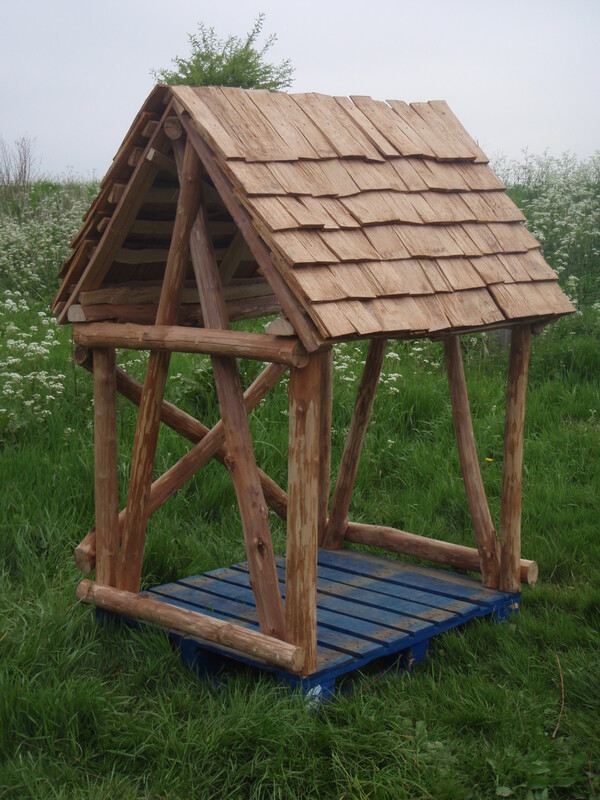 Variations such as playhouses and seating areas are possible as well as commissions on larger roundwood structures (see here Roundwood Timber Framing).